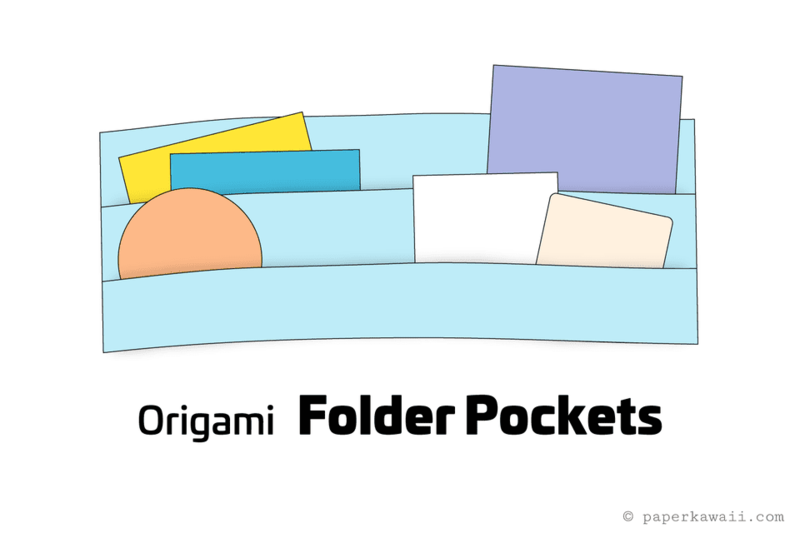 Make Some Origami Folder Pockets! If you are an avid journal keeper, these origami folder pockets make a great solution to all the little mementos that are accumulated on day trips, vacations, and other events. These origami pockets can also be hung up or mounted, on a cork board for example. You could use wrapping paper, thicker packaging paper or even wallpaper to create much bigger pockets. Other uses include a stylish way to display magazines and small books on a wall, storage for business cards inside your calendar, A useful leaflet display/storage for your office or shop. There are so many ways this origami folder pocket can be used. You could even use this method with fabric, and then sew the edges either by hand or with a machine. You will need one sheet of square paper for this tutorial after you have made one, it would be easy to use any size of paper, even if it's not square. You can get different ratios of packets by using rectangular paper. If you start with rectangular paper in a portrait position, your pockets will be deeper. Start with your paper white side up, if you have one. 1. Fold the right edge to the left edge, making a neat crease down the center and unfold. Flip the paper over to the other side, from left to right. 2. Fold the left and the right edge to the central crease you just made. 3. Fold the inner edges of the flaps outwards. 4. Swing open the left flap to the left. Useful Tip: Make the beginning folds as neat as possible, this will ensure the result is the best it can be. 5. Make the central crease a mountain fold. Fold it over to the crease indicated. 6. This is the result. If it's different from what you have, re-arrange accordingly. 7. Rotate the paper. Flip the paper over to the other side. 8. Make diagonal folds on the left and right edges of each 'strip'. 9. Reverse all of the diagonal folds, tucking them in under themselves. 10. This is the result. Flip the paper to the other side. The origami folder pockets are complete. You can go back over some of the folds to straighten out any wonky creases. You can now stick it into a book or pin it up on a cork board and pop your mementos in!